Nine out of 12 anti-protest laws passed on January 16 have been canceled during the special session of the Ukrainian Parliament. It was one of the main demands of the opposition. The cancelation of the laws has been approved by 361 MPs, while 226 were needed to get it passed. The laws, banning unsanctioned gatherings and imposing multiple restrictions on mass demonstrations, have been harshly criticized by the opposition. Among things that were illegal according to the repealed bills were protesters’ wearing of masks or helmets, and erecting tents or stages without permission from the authorities. When passed, the laws provoked a mass demonstration with at least 10,000 participants out in the streets of Kiev. The protest eventually ended in violent clashes with police. The announcement of the voting results was welcomed by applause. The leader of the ruling Party of Regions, Aleksandr Efremov, has described the repeal of the law as a positive development. The parliament is also planning later in the day to vote on a bill granting amnesty to the participants of the mass protests, according to Verkhovna Rada Speaker Vladimir Rybak, cited by RIA Novosti. The government and the opposition have recently agreed that the Rada would announce an amnesty if administration buildings and roads were unblocked. Another big issue on the agenda is creating a special commission to amend the constitution. 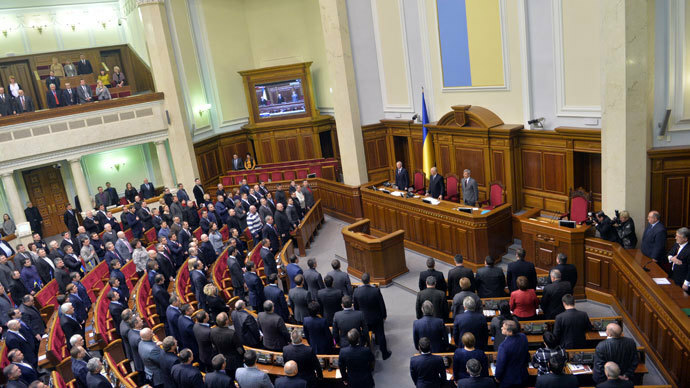 The opposition has repeatedly demanded constitutional reform, which would see a parliamentary form of government introduced in Ukraine. 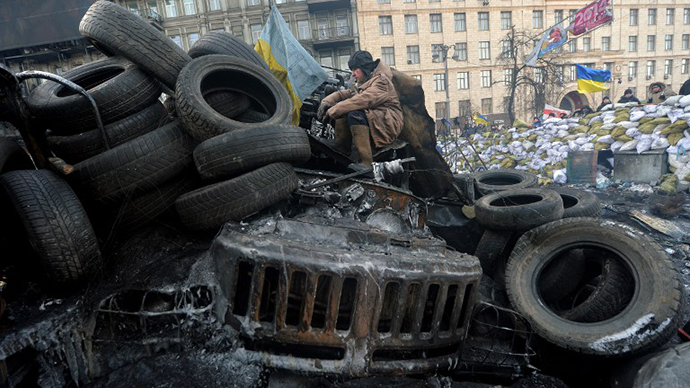 Protests in Ukraine started in November 2013, when the government put integration with the EU on hold. Mass demonstrations have since then on multiple occasions turned into violent clashes between the opposition and the rally participants. The opposition has demanded the government resign and the process of the integration with Europe be resumed. 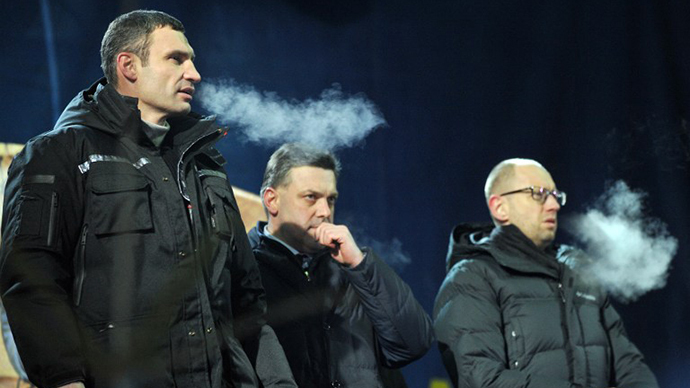 In an attempt to resolve the crisis President Viktor Yanukovich offered Batkivshina (Fatherland) opposition party leader Arseny Yatsenyuk the chance to head the Ukrainian government and UDAR party leader Vitaly Klitschko to become deputy prime minister for humanitarian affairs. Both rejected the proposals. 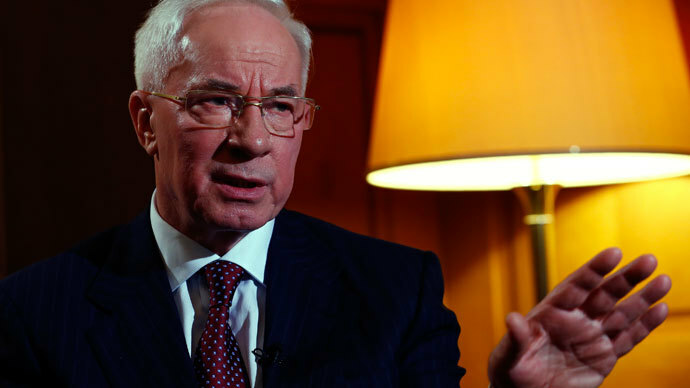 Ukraine’s Prime Minister Nikolay Azarov submitted his resignation to the President on January 28, explaining the move as an attempt to peacefully resolve the political crisis in the country. The EU and the US have been voicing concerns over what they see as a harsh response to the rallies and sweeping anti-protest laws (which were repealed on Tuesday). This is despite draconian measures taken against demonstrators on their own turf. 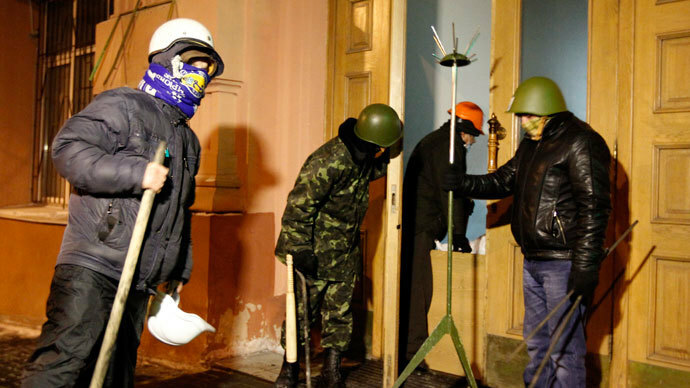 The Ukrainian laws presupposed punishment of up to five years in prison to people who blockade public buildings, and possible arrests of protesters who wear masks or helmets. Other provisions introduced the term ‘foreign agent’ to be applied to NGOs that receive foreign funds, and made dissemination of slander on the Internet punishable by a year of corrective labor. Following the passing of laws, Catherine Ashton, EU foreign policy chief, said that she was "deeply concerned'' by the legislation and urged Ukraine's President Viktor Yanukovich to revise it. In a statement released late on Thursday, the US State Department called the laws "undemocratic" and said they contradict Ukraine's aspiration to a European future, AP reported. However, laws against protests and other public gatherings are far from mild in Europe and in the US. For instance, extremism in Germany is punishable by five years’ imprisonment. Italy sentences those guilty to three years behind bars. Ukraine only issues a fine of $400-$1600 for manufacturing and distribution of extremist material, and its public demonstration in media or during rallies. Ukraine also only detains those violating public order for 10 to 15 days – compared with Greece or France, with up to 10 or 15 years respectively. Failure to obey the police’s demands is punished in Ukraine with a fine, while in the US the same charge may land one behind bars for life. Some European laws are quite harsh, too: five years in prison for Germans, three for Greeks. There are charges which would see one get the same punishment in Ukraine as in Europe: for example, blocking public transport and enterprise is punished with a two-year imprisonment both in Ukraine and in Greece. Germany isn’t very far from them, with three years’ jail. Further on come anti-mask laws which are widespread across the globe after the mid-20th century’s legislation banning the Ku Klux Klan. In the US, controversy over the anti-mask laws during the Occupy protests led to suggestions that the long-standing legislations may be even unconstitutional. Wearing a mask is considered illegal in Denmark, Germany (up to one year in prison), Spain (a fine of up to 30,000 euro) and France.